Many sports advisors are always looking for the best software solution provider, in order to take their business to another level. IDSca.com offers its clients access to a full-service, high-tech near-shore call center with great multi-lingual personnel. Our customer specialists are available 24 hours a day, seven days a week and 365 days a year, providing the most courteous and qualified service. Your clients will enjoy unlimited game options, while taking advantage of the best lines available. Allow your clients to play on all major sporting events Worldwide, which include a vast number of lines, props and live action. We provide up to 1800 games on a daily basis for the clients to play on. As well, our new Premium Service offer a variety of languages such as English, Spanish, Hebrew, French, Chinese and German. We also provide a shopping cart feature that allows clients to be constantly reviewing their selections. In addition, one of the innovative features is the Live Premium Service, which lets clients make selections during the game on all major sports. This feature displays a screen with all the game information such as stats, time, score and injury reports all in real-time! International Data Solutions relies on the finest and state-of-the-art software in the industry. This software has a user-friendly navigation with up to 1,800 games available on a daily basis covering a variety of sports from the U.S., Europe and other parts of the globe. This web-based software offers an assortment of languages for your players’ needs. Certainly, this software has all the new options that any sports advisor would want to make available to their clients in order to provide an ultimate customer experience. 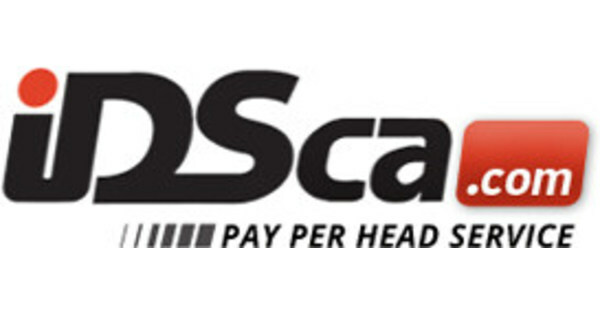 Once again, IDSca.com is the leader and innovator of the price per head industry. Regardless of what the client chooses, whether sports, race tracks, virtual games, or all of the above, the sports advisor will have real-time tracking and reporting readily available. Likewise, the sports advisor will have the option to use the shopping cart feature, which alerts when there is a steam play in real-time (watchdogs or IP monitor, and flags are also available). With this software, IDSca.com offers the agent the complete turnkey solution for all the pay per head client needs. All of this is available at only a phone call away (1-866-CALL-IDS). International Data Solutions is fully equipped with the latest in technological advancements, which gives us complete control and full customization capabilities to meet all our client’s needs. We use the most prominent software in the industry, so transactions are handled with incredible speed and precision. In addition, every customer’s account balances are constantly updated. All telephone calls are recorded for accuracy and protection to avoid claims, which gives confidence and security to our clients. The Sports Advisor will experience virtually no downtime because our staff is ready to provide services to your customers within minutes. We virtually guarantee NO LOSS OF DATA by replicating the information continuously into a remote office. We will protect your business and save money by having a back-up office space facility with all the servers, software, workstations, furniture and other equipment needed in case of any unforeseen event. In addition, as another feature, we have a combination of triple-redundant telephone and internet connections for better service, while Mitigation Solution is used to avoid online denial of service (DOS) attacks. IDSca.com also counts on cutting-edge satellite communication so our customers have the best quality service with no busy signals. As you can see, we spend a large amount of resources to ensure that the equipment and staff we provide, as a business process outsourcing solution, will ensure the customer’s quick and convenient access to the agent’s website and 800-toll free number. IDSca.com want to remain as the top price per head software solutions provider on the market and that requires a huge commitment on our part. Therefore, we are committed to provide a safe, confidential, and professional place for the sports advisors’ clients to enjoy sporting events.